Planted in the foothills of the mighty Himalayas, near the mythical city of Shangri-La in the Yunnan province of southwestern China, the vineyards of the Ao Yun estate produce a truly special New-New World wine, a masterful blend of Cabernet Sauvignon and Cabernet Franc. As part of the newest project of luxury goods empire LVMH – the talented team behind Chateau d’Yquem, Cloudy Bay, Dom Perignon, Ardbeg and Krug – has scoured the continent to find the perfect terroir for a unique new expression of these beloved varietals. And in the previously unexplored terroir of Yunnan they have found just the place. Discover the wines of Ao Yun, whose second vintage has recently become available for purchase. After four years of careful searching, the Moet Hennessy branch of LVMH found what they were looking for in the foothills of the Himalayas in the Chinese province of Yunnan. The steeply terraced vineyards of Ao Yun expand over 314 plots, measuring 30 hectares in total. They are planted with Cabernet Sauvignon, Cabernet Franc, Merlot and Petit Verdot, though only the Cabernet Sauvignon and Franc are currently used in the blend. 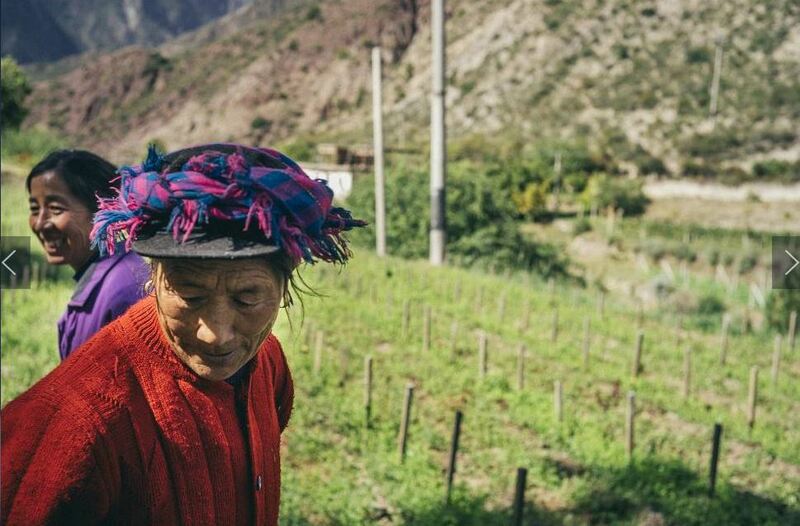 True to the name Ao Yun (meaning “flying above to clouds”), the vines are planted between altitudes of 2,200 and 2,600 meters above sea level, near the villages of Adong, Xidang, Sinong and Shuori at the base of the sacred Meili Mountain. The locals have cultivated these steep mountainsides for centuries. In keeping with local traditions, the grape harvest and winemaking are carried out using exclusively manual techniques. At such a high altitude, the vines enjoy remarkably high levels of UV radiation and a variation in temperature between night and day, which results in a fantastic concentration of organoleptic qualities in the grape. However, the remote nature of this newest wine region also poses several challenges. Fermentation is quite slow and it takes a total of around 300 farmers to cultivate the vines using organic methods. (Since it virtually never rains here, botrytis and mildew are virtually non-existing, eliminating the need for chemical treatments.) From time to time, the electricity cuts out, forcing the team to sort and de-stem by hand. Transportation to the winery is also quite difficult and the late arrival of fermentation vats, for example, led the team to vinify must in amphorae instead. 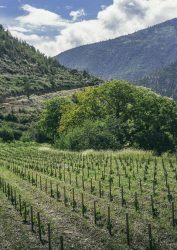 Led by CEO Jean-Guillaume Prats of Cos d’Estournel and Estate Manager / Winemaker Maxence Dulou, formerly of Cheval Blanc, the team brings plenty of Old World savoir-faire to this virgin wine region. Produced in a very limited quantity of only 2,000 cases, 2013 was the first commercially available vintage of Ao Yun. This masterful blend of 90% Cabernet Sauvignon and 10% Cabernet Franc is truly bold, with a saturated colour. On the palate, it is very ripe, with silky smooth tannins and a certain freshness that expresses the terroir from which it came. The Ao Yun 2013 also reveals flavours of sweet black cherry and graphite, along with touches of juniper, cumin and pepper. The 15.1% alcohol is very well integrated into the texture of this wine and not easily noticeable. 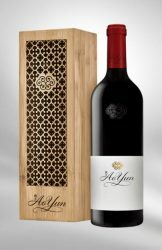 This first wine from Ao Yun received 93 points from James Suckling, 17 points from Jancis Robinson and 94 from Decanter magazine. Although not yet officially rated, the 2014 vintage seems to have surpassed the inaugural vintage, showing even more complexity and finesse, as a result of better climatic conditions and a better understanding, over time, of this brand new terroir, up in the clouds. 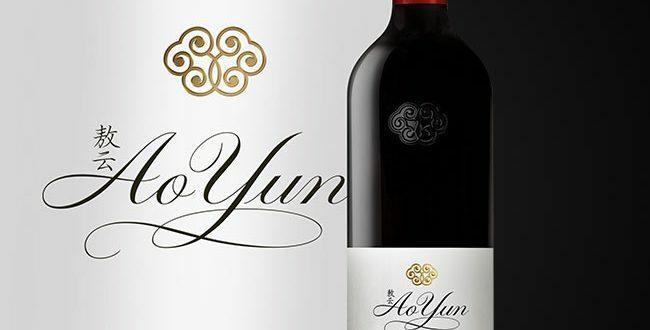 In the style of the wines from Bordeaux’s Saint Emilion, the Ao Yun 2014 shines with plenty of Cabernet Franc on the nose, expressing fragrances of smoke and mineral notes, along with the body of Cabernet Sauvignon. On the palate this wine delivers plenty of black fruit and a refreshing acidity. The 2014 vintage surpasses the previous in the softness, smoothness and ripeness of tannins. Nevertheless this wine maintains a power on the palate, a very rich concentration, a pleasant mouthfeel and finally a nice length on the finish. This wine spent three months in earthenware jars and the rest in barrel, achieving a beautiful complexity.